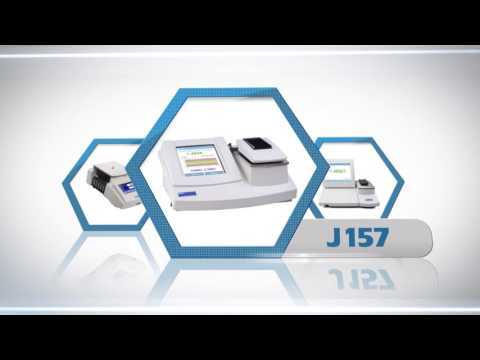 All J Series refractometers are designed for high chemical resistance from the outset with the wetted parts being sapphire, Tectron® and 316 stainless steel. However, when using HCl and other caustic compounds, 316 stainless steel is not resistant enough. For these applications Rudolph offers an extended chemical resistance option where the sample dish and cover are made from Hastelloy (H Option). 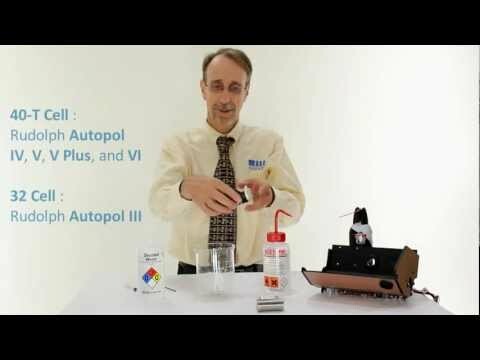 For plastic manufacturers who measure liquids and solids like PET, Rudolph has a Contact Presser (CP) with extra weight. Electronic Temperature Control: Fixed temperature selection: 20°C and 25°C A refractometer can only achieve real world accuracy if the prism is cleaned properly between samples. The flat open sample area has no corners to trap even sticky materials and is resistant to almost all solvents including Acetone, Toluene and similar organics. Choose (HA) option for HFl and HCl acids. The J157/257/357 are available with an optional Temperature Controlled Sample Presser (CP option) that touches the sample. Compared with the standard temperature controlled cover, the optional CP Presser reduces the empty volume of the measurement area thereby decreasing evaporation and at the same time helping to evenly spread semi solid materials over the measurement prism. This feature offers improved performance on many samples such as PET and Glycerine.